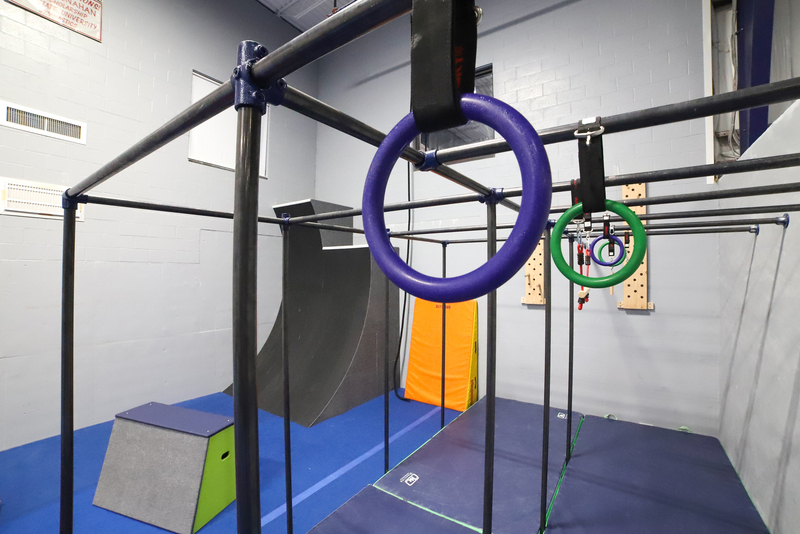 Urban Gymnastics focuses on athletically moving the body over, under, down and through various obstacles/structures as quickly, efficiently, & safety as possible while adding gymnastics & flair to create a fun but disciplined “Art of movement”. Kids play hard! Whether it’s good old traditional outdoor fun such as climbing trees and tag. Sports such as soccer, basketball, football. As well as Action sports or Outdoor sports such as skateboarding, skiing, rock climbing, and slack-lining. All these activities share common foundations needed to keep safe & progress athletically. Such as proper warm-up, cool-down, balance, strength, arial awareness, self awareness/ discipline, & learning how to safety fall. Urban Gymnastics provides a unique and safe athletic experience with various physical and mental benefits, starting at a young age. With the fast growing field of new age sports Urban Gymnastics has many long term recreational to professional goals athletes can strive for. American Ninja Warrior, Parkour Free-running World Championships, “Hollywood” TV/movie Stunt work or recreational hobbies such Mud runs, Tough Mudder & Spartan Race. These provide established realistic goals, with new opportunities being created every year, in the field of movement!